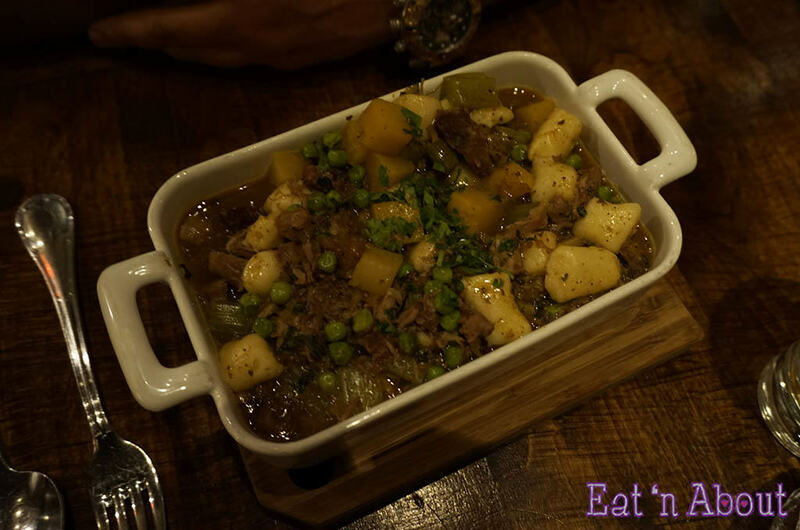 With the cooler weather we’ve been having lately, there was no better time to visit Burgoo. I’ve never been before but had always heard good things, so I was excited to give them a try. Burgoo doesn’t take reservations. We arrived at around 7:30pm and the place was pretty packed. There were people waiting outside. They did have a good system though where you can leave your name and number, and they’ll call you when a table becomes available. Luckily the Main Street location had lots of little shops for you to wander to while you wait. We (I) decided to grab a few Lucky’s doughnuts at 49th Parallel a couple blocks away. It only took about half an hour for a table to become available. We were pretty famished by the time we sat down, so everything on the menu looked delicious. I was especially excited to find out beforehand that Burgoo serves mead, as I’ve been pining for it ever since trying it at Locals in Courtenay the Christmas before last. I tried the Tugwell Creek Kickass Currant ($8/4oz glass) first, as the note of currants intrigued me. However I found this one disappointing. It was tart and actually tasted more like currant soda than mead. There was hardly any honey flavor and it was slightly fizzy. So next I had their Feature Mead (not sure of the price) which, as I was told, was a traditional mead- straight up fermented honey wine, from Middle Mountain. Unfortunately that was a disappointment also. It was quite a bit ‘runnier’ than I remember my first experience with mead to be. The honey aroma was more pronounced though. Oh well. It took us quite a while to decide on what to order, as everything looked so good. We finally decided on the Brie Fondue ($11) to start since I’ve never had a fondue of brie before and it’s one of my favorite cheeses. 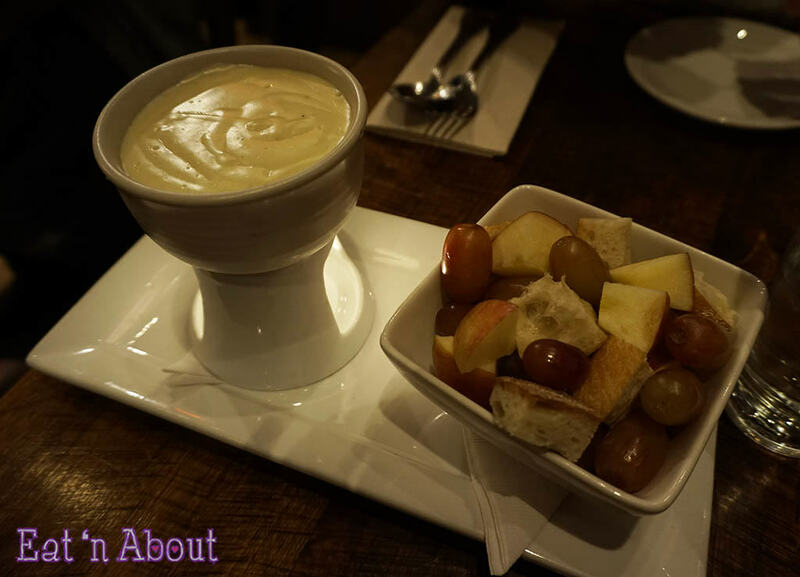 The menu describes it as ‘roast garlic, honey and white wine, served with cut red apple, grapes and crusty bread for dipping. When it arrived it looked quite small and we were afraid there wouldn’t be enough cheese for all the dippers. But it was enough. Tastewise, I thought the cheese sauce tasted more like a creamy white pasta sauce than brie, although I understand that brie is a very mild-flavored cheese. I think next time we will get the traditional gruyere version instead. I also would’ve enjoyed more bread dippers than fruit dippers, as did my dining partner. We decided to get two of their classics to share. I decided on the Kentucky Burgoo ($7) and my buddy decided on the Irish Stew ($18). The Kentucky Burgoo consisted of slow cooked lamb, beef and smoked ham with lima beans, corn, molasses, tomato and okra. 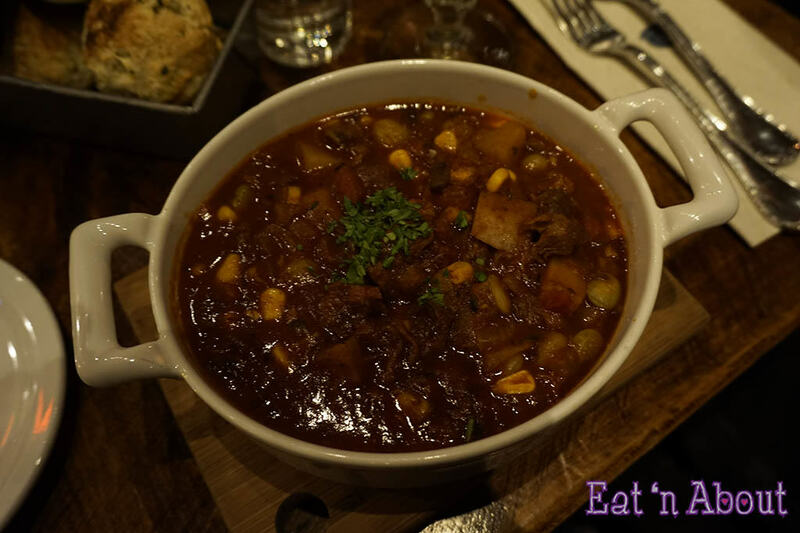 This burgoo was very hearty and came piping hot, just the way it should be. However we both found it to be too sweet. I guess I was anticipating more of a chili flavor so I was a little taken off guard by the sweetness. Now the Irish Stew was definitely the winner of the night. It was piping hot and hearty and the lamb had the perfect lamb aroma to it, which I loved. It was seasoned perfectly and there was plenty of sauce for us to sop up. The potato dumplings were more like gnocchi and added a nice chewy texture. Definitely a thumbs up for this and I would gladly order this again on my next visit….god I love lamb! 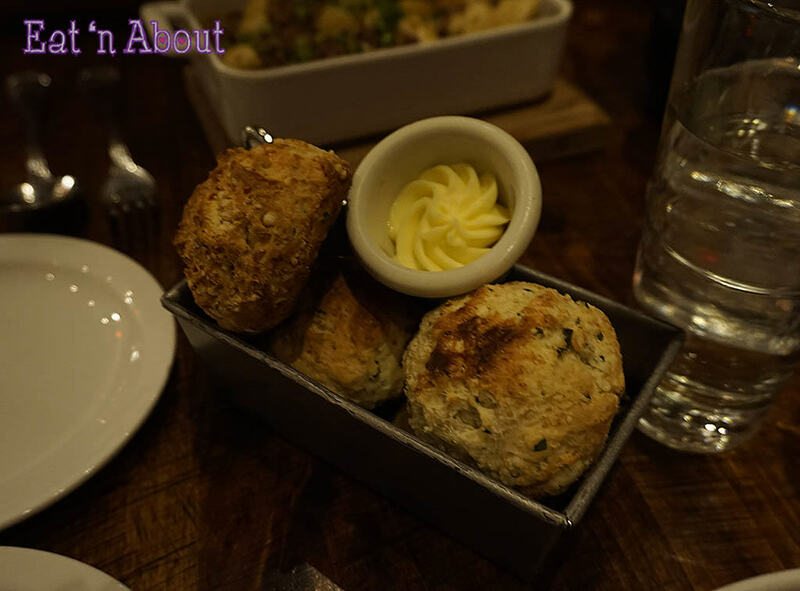 In order to sop up all the yummy juices, we got a side order of their Burgoo Biscuits ($5). They’re white cheddar and parsley biscuits although I could taste neither. However they were fresh and crispy on the outside, and rich, buttery and fluffy on the inside. Since they were being dunked in the stews anyways I didn’t mind not tasting the cheddariness of it. Thanks for reading my first post of the new year!! I know it’s been a while but welcome back! Hope everyone had a good holiday season!